We offer our clients Manual Swing Band Saw Machine that feature ergonomic construction for easy control. Integrated with an electrical control panel, these machines comprise include complete assembly with Step pulley with V belt, automatic height adjustment, variable feed control valve for setting the cutting rate etc. Known for a reliability and durability, bandsaw machines can be availed at most competitive prices. 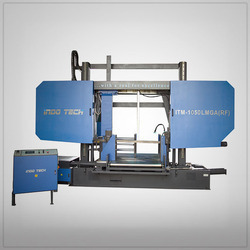 Backed by rich domain expertise, we are engaged in offering Manual Swing Band Saw Machine. 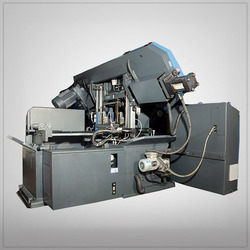 Our offered machine is designed to fulfill sawing needs of various packaging industries. This entire range is available with us in various standard sizes as per the clients’ requirements. 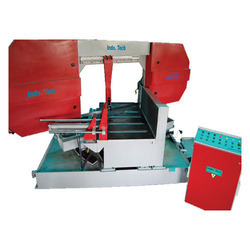 We are a distinguished name engaged in offering Manual Band Saw Machine to our clients. Our offered product is manufactured from quality approved materials that are obtained from reliable vendors of the market to ensure its quality features. Moreover, this entire range is stringently checked on various parameters by our expert quality controllers.